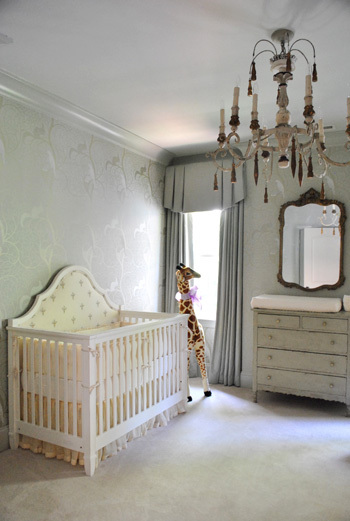 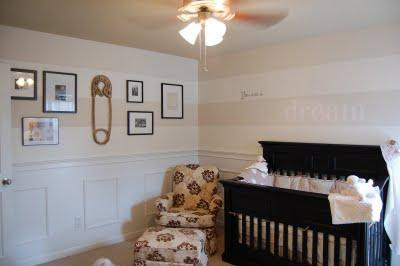 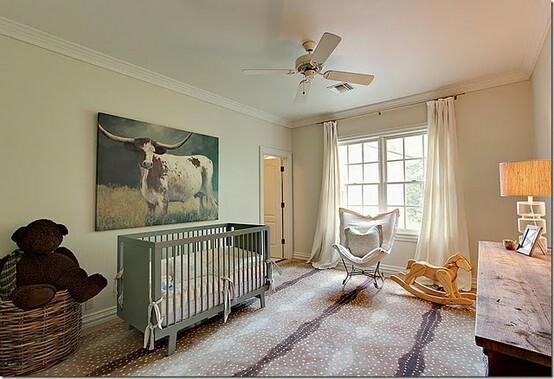 In honor of Baby Smith's big gender reveal tomorrow, I thought I'd share some of my favorite nursery designs with you. 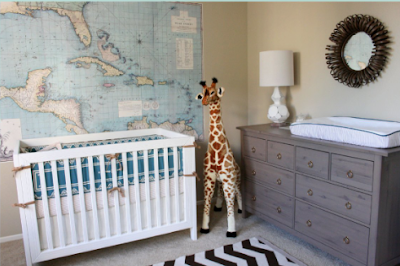 I can't wait to help put together he/she's nursery! And as far as inspiration goes, I have a ton of it! 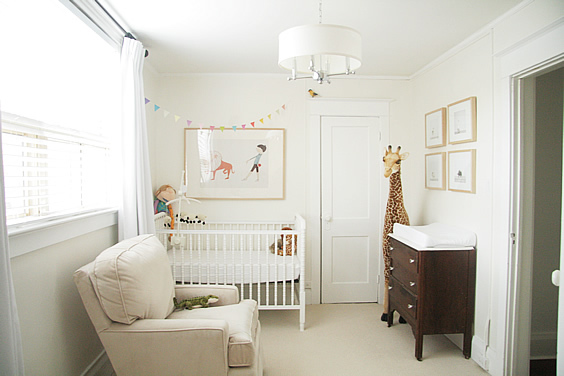 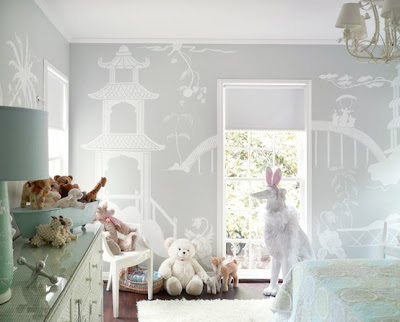 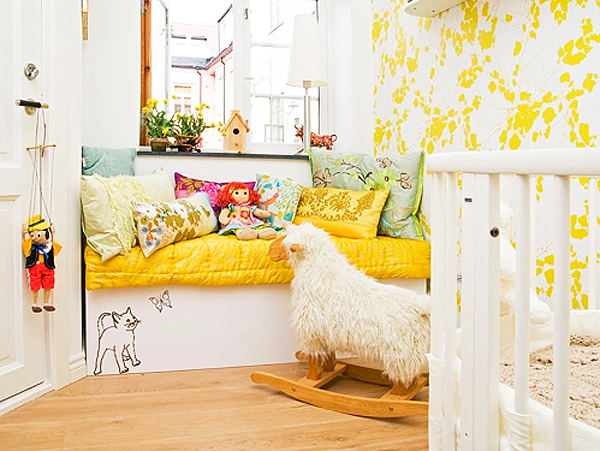 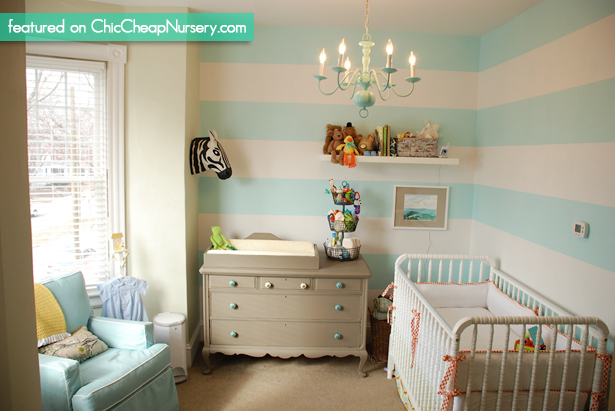 One tip for designing nurseries, is to pick furniture that will grow with the child (aside from the crib of course). Accessories can easily, and often inexpensively, be changed out over the years, but furniture is a big investment. 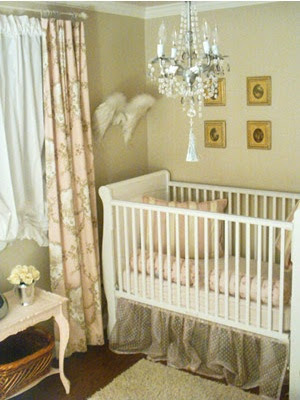 Remember your child will only be a baby for a little while, so think of designs that will carry them through the years. 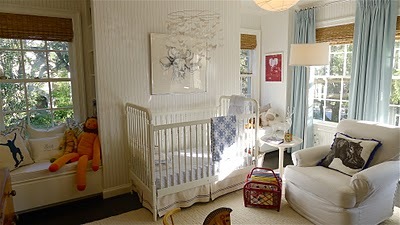 And here are a few more that I stashed away prior to my Pinterest days so I don't have the sources for them.